Property 2: LeoMae Rarotonga. Stunning home in Titikaveka. Orani - perfect for a budget conscious family! Property 9: Orani - perfect for a budget conscious family! 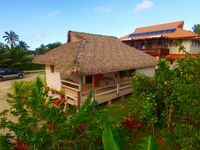 Paia's Holiday Home - Spacious Holiday Home to relax in by the beach. 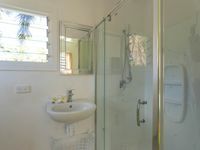 Property 38: Paia's Holiday Home - Spacious Holiday Home to relax in by the beach. ARE HINE Charming spacious house in Heart of Muri! Property 39: ARE HINE Charming spacious house in Heart of Muri! Ocean Blue Villas ... 25m walk across grass to the beach! Property 40: Ocean Blue Villas ... 25m walk across grass to the beach! Lovely place; very new and spacious. They provided everything we needed and more. Comfortable and in a great location. Loved it. The owners, Mere and Jean Marc are wonderful hosts and think of everything and make your arrival easy and perfect. Thank you for a fabulous stay. Will come again - hopefully in the not too distant future.